HHV-6 University : More evidence Chronic Fatigue Syndrome is part of the AIDS epidemic? More evidence Chronic Fatigue Syndrome is part of the AIDS epidemic? For almost a decade New York Native warned the world that Chronic Fatigue Syndrome is part of the AIDS epidemic. You can read the whole story on Amazon. Available at Amazon in every country. 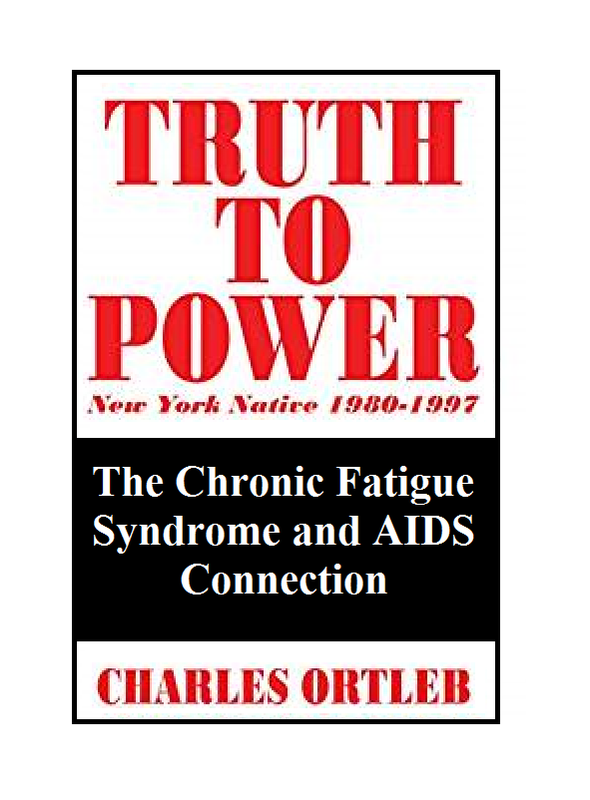 By the time you finish this eye-opening book you will question everything you have been told about Chronic Fatigue Syndrome and AIDS. In this powerfully written history you will find credible and disturbing evidence linking the two epidemics to one virus, HHV-6. You will wonder if HHV-6 is the real AIDS/CFS virus and whether the HIV theory of AIDS is one of the biggest mistakes ever made in medical science. This book will inspire an international debate about HHV-6 and Chronic Fatigue Syndrome. 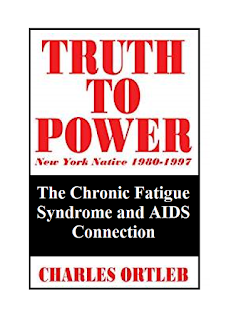 *Truth to Power exposes the corrupt world of AIDS and Chronic Fatigue Syndrome research. 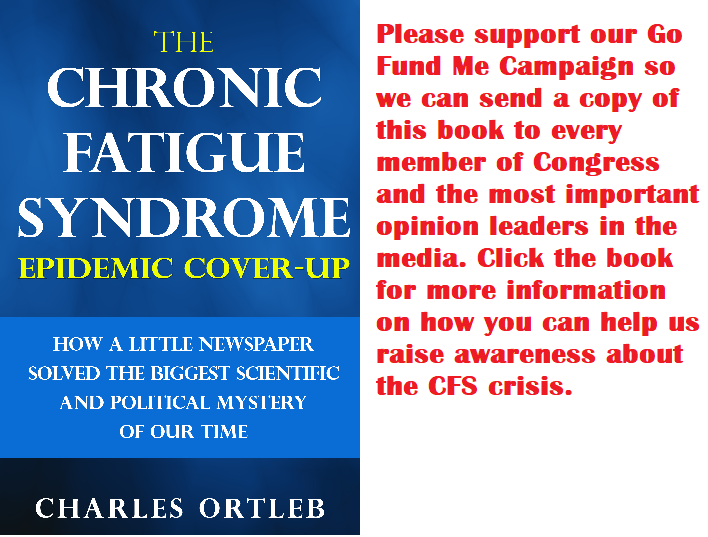 *Truth to Power reveals how the Centers for Disease Control has covered up a massive epidemic of Chronic Fatigue Syndrome and HHV-6, the virus that clearly is what is destroying the immune systems of CFS patients. *Truth to Power explains why HHV-6 has become the biggest public health problem in the world. *Truth to Power reveals how HHV-6 may threaten your health and the health of your family and friends. *Truth to Power uncovers the terrifying possibility that the virus HHV-6 is also infecting the pets of people with Chronic Fatigue Syndrome. *Truth to Power presents compelling evidence that HHV-6 originated in pigs. *Truth to Power shows you how political American science has become and why so many honest whistleblowers have been silenced. Charles Ortleb’s Truth to Power takes you inside the New York Native, one of the most unique and consequential newspapers of the twentieth century. Shortly after starting his small gay New York City newspaper in late 1980, one of the biggest scientific and political stories of our time fell into his lap in the form of the AIDS and Chronic Fatigue Syndrome epidemic. What he did with that story has secured his newspaper’s place in history. Under his guidance, a succession of intrepid journalists did some of their greatest work uncovering the crucial facts about the labyrinthine epidemic. Ortleb made the decision to follow the facts wherever they led. Charles Ortleb’s Truth to Power takes you inside the New York Native, one of the most unique and consequential newspapers of the twentieth century. Shortly after starting his small gay New York City newspaper in late 1980, one of the biggest scientific and political stories of our time fell into his lap in the form of the AIDS and Chronic Fatigue Syndrome epidemic. What he did with that story has secured his newspaper’s place in history. Under his guidance, a succession of intrepid journalists did some of their greatest work uncovering the crucial facts about the labyrinthine epidemic. Ortleb made the decision to follow the facts wherever they led. As a result of the New York Native’s uncompromising investigative reporting, many powerful toes were stepped on. For years the medical and political establishment did everything they could to discredit New York Native and put it out of business. But Ortleb stood his ground for as long as possible and as a result the world now can have a clear understanding of the relationship of AIDS, Chronic Fatigue Syndrome, and HHV-6, the transmissible virus that now threatens everyone on this planet. Anyone who has wondered why the medical establishment will not tell the truth about the Chronic Fatigue Syndrome epidemic will find the disturbing answer in Truth to Power. What makes Ortleb so unusual is that not only did he have the natural instincts of a journalist, editor and publisher, but he was also a poet, a fiction writer and a budding political philosopher. Truth to Power is not just a compelling work of journalism and history, but also a major contribution to the intellectual life of our time. Truth to Power is a 466-page book published by Rubicon Media. Truth to Power is available on Amazon in both print and Kindle formats. Also Kindle Unlimited. Ask for it at your local independent bookstore.